Nerf & Play-Doh Toys Only $2.90! Down From Up To $17.99! You are here: Home / Great Deals / Nerf & Play-Doh Toys Only $2.90! Down From Up To $17.99! 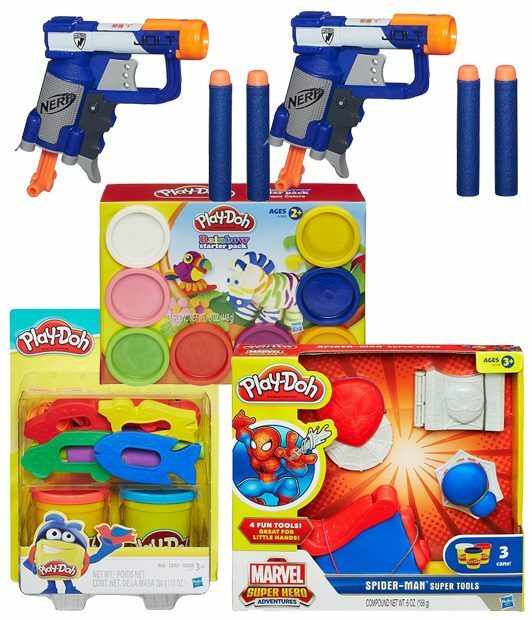 Kohl’s has select Nerf & Play-Doh Toys on sale for $4.89-$8.99 (Reg. up to $17.99) but you can get them for only $2.90 through 3/23! Final: $2.90 each + FREE shipping! Final: $3.53 each + FREE in-store pick up!